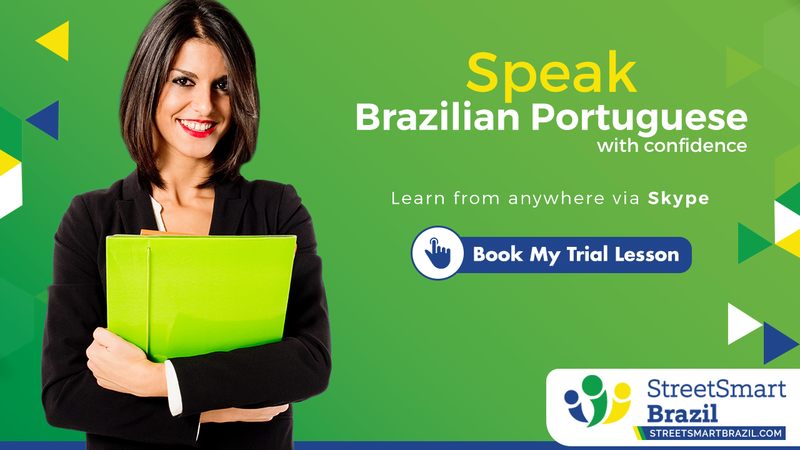 Today you will learn 3 ways to introduce yourself in Brazilian Portuguese and 4 ways to ask someone’s name. Get ready to meet Brazilians with this Portuguese lesson. You may be thinking that you only need to know one way to do so. But here’s what I tell you: You don’t know how other people will introduce themselves or ask your name. So you should know all the different ways at least well enough to understand it if someone else says it, right? The sentences below mean “My name is Luciana”. I’m giving you each sentence’s literal translation below. Eu me chamo Luciana. = I am called Luciana. The questions below mean “What’s your name?” I’m giving you each question’s literal translation because I know that some of you are curious about literal translations. Como é seu nome? = How is your name? Como é teu nome? = How is your name? Como você se chama? = How are you called? Como te chamas? = How are you called? The difference between questions 1 and 2 and questions 3 and 4 is the difference between using você and using tu. Both você and using tu mean you. And both seu and teu mean your. People who address other people using você tend to speak as in questions 1 and 3. Those who address other people using tu tend to speak as in questions 2 and 4. You may also catch many people mixing você and tu. It really doesn’t matter what you choose to use. If it makes you feel more confident, you can observe how your friends speak and adopt the same. Now all you need to do is practice these questions and sentences so you can say them naturally and with good pronunciation. Beginner Portuguese speakers, this is for you! I have a video lesson + lesson handout for you to learn 31 useful phrases to use when traveling in Brazil. Get the lesson here. Yes, this is also correct 🙂 I just forgot to include it in the lesson.